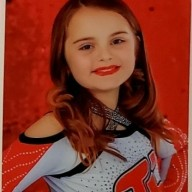 Discussion in 'Allstar Cheerleading' started by Sterling von Shimmer, Apr 16, 2019 at 9:56 PM. I recently learned that two AS cheer-lebrities have turned to homeschooling instead of traditional high school, I assume so they can focus on their cheer careers. And that’s great. More power to them. They’re both very talented and clearly have a future in AS cheer in wherever direction they choose to go. My question is: why? Usually when athletes are homeschooled, it’s because they’re training for the Olympics or are focusing on a future in pro sports. Neither of which cheer can offer (unfortunately). So I’m not sure what the logic is behind their decision? I’m not judging, just curious. It struck me that maybe they’re in an awkward position because they’re half IG celeb/half kid and that makes a “normal” HS experience impossible for them. Or maybe they’re being bullied? Otherwise if their goal is to homeschool so they can streamline their training in order to take the next logical step of making a level 6 or college team (one’s been pretty vocal about Kentucky), well... kids do that without homeschooling all the time. So I’m just not sure what the endgame is supposed to be. Is there anyone here more familiar with homeschooling who could shed some light? The families I know who homeschool their AS athletes do it because they believe homeschooling offers the best education for their child. I don’t know anyone who homeschools simply because they want to focus on cheer; it is just a happy benefit that homeschooling makes participating in AS so much easier. I am always jealous of these families during nationals season! They can adjust their lessons and not worry about all of school days the rest of us are forced to miss. DropAndRun Slow your roll, Sparkle. The short answer is, because varsity. Droplet isn’t even on a worlds team and also not in HS yet, but the amount of school absolutely unavoidably required by serious travel teams sometimes forces the issue because of very strict school district rules on absences. In my case, Drop homeschools right now bc I yanked her out of her miserable excuse for a charter school mid semester and it was just the easiest answer for the time being. Next year, I dunno what will happen. Personally if someone feels the need for homeschooling for cheer then that’s their choice. But cheer really does not get u anything down the road, not much for scholarships in college or a pro career with good $$. I feel the same about a long commute, but some will do that for a certain gym also. Personal choices are made for personal reasons. Just a general comment from the viewpoint of college admissions in case it might be useful info for some. Home schooling can indeed make for a superior educational experience...it can also make for a very poor one. Because home schooling is not always well-regulated (varies greatly from state to state), colleges are sometimes leery of home schooled or online schooled applicants. I have been on the admissions board at 2 different universities, and saw this first hand. This can be mitigated greatly by doing really well on standardized tests, such as the SAT, ACT, AP exams--so some extra exam prep can really pay off if you have opted for the home schooling route. I know some gymnasts who home school. They aren’t going to go to the Olympics. They could have a college career, I suppose. The main reason they do it is to have more time to be a kid. They do 2-3 hours of school each day, train 20-30 hours a week in the gym and then have more time to see their friends and just be kids. That falls apart a bit with cheer since practices are all after school, but I suppose it could free up time on days they don’t have it. The majority of the families I know who homeschool and have their kids in a competitive styled sport do so because it gives them the flexibility they need, the training hours they want and provides them, with what they think, is a superior education than what they'd receive elsewhere. After the year oldest had, I came within seconds of pulling her out for school related issued. Would it have meant more time to train in running? Sure and she could have used that for PE. But would it have been why I pulled her? Nope. The way education funding and bullying are going in Oklahoma, tons of people homeschool because it's the better option education wise. Benefits for being in a travel sport are just a bonus. I've talked a lot of parents through the decision of pulling from public to homeschool/virtual and I have found that there are many who underestimate the amount of time it takes. It has flexibility for sure, but it is certainly not "school whenever I feel like it." Virtual schools are actually taught by licensed teachers, the kids have a schedule of live classes they attend, attendance at those live sessions is required, then there are optional help type sessions, tutoring, etc. It is flexible in a sense, but there is still a lot of work involved. The students also have homework, assignments, readings, papers, etc. to do when not in live class and it's housed in an asynchronous course environment like Blackboard, moodle, etc. There are also still deadlines and such. Great option for those who are able to be self-motivated. You have to know your kid well to know if this is a good option for them. You could potentially run into the same attendance issues if your child is not disciplined enough to log in daily and do what needs to be done. I know of at least four families who homeschool for special education reasons (gifted, LD, ADHD, ASD, Anxiety, or various combinations of the above) who have found cheer a good sport for their kids-it’s a great physical outlet, a supportive environment, and since progression is based on skills while still being grouped by age, and the age range is relatively wide, a lot of kids can be placed successfully on a team when other groups don’t work so well. These kids (including mine) aren’t homeschooled due to cheer, but cheer for the same reasons why they homeschool-that they can be successful there and progress at their own pace. I will admit that now that CP is high school age, I really don’t know how kids in a traditional school manage cheer and school. She does a mix of college classes, online high school classes and at home classes and has done a lot of classes and schoolwork in the car, in airports, and in hotel rooms. Even with the flexibility of homeschooling, she had a lot of after midnight nights to finish papers, etc due to busy practice schedules. yes there are great scholarships for gymnasts!! Admittedly I don’t know much about homeschooling vs. high school, but I always think it’s good for kids to have at least the social experience HS offers. It’s good to learn how to works in groups, how to navigate all kinds of relationships, and how to read social cues. Then again my HS experience was pretty good despite some passive-aggressive bullying from my teammates my freshman year. But I really do believe that experience taught me to not care what awful people think all the way down to my bones. I went from worrying all the time about why these girls didn’t like me in August to outright laughing at their attempted jabs in January because I knew at that point they were mean, petty, stupid girls and I just didn’t care anymore. Which was a valuable lesson to learn at fourteen when you’re all insecurity and baby fat. No matter though because four years later they’d all been cut for terrible toxic attitudes and I was captain of a national champ cheer team. So it worked out. In all fairness and this is from someone who works in a HS and talks to kids often about their social struggles - socialization is more than just school. Uh...I guess you’re saying that the kids here in the gym aren’t normal? And at least here, most high school homeschoolers spend at least a couple of days a week in a group setting-we have a lot of university model schools and tutorials, as well as the early college option. We have our own band, choir, practically every sports team any high school would offer, and yes, Cheer (my CP is trying out for Varsity this year, since she’s finally high school age. They’re also adding a middle school JV team this year). That’s not counting club sports. If anything, the biggest problem is finding time at home to do school work! There definitely used to be a bit of a stigma to it. When I was a kid, if you were homeschooled it meant you either had academic or disciplinary problems. The super brilliant Olympic-bound athletes at my school (and there were a couple) still showed up to class. So in my head, I’m still shedding that stigma.